As it turns out, people don't want to hang onto exploding phones. Samsung initially started the Note7 Exchange Program earlier this month in the United States, offering owners of affected Note7 devices the choice of a fixed Note7 or a S7/S7 edge. Over a week later, the CPSC officially began working with Samsung to handle the recall. The program appears to be somewhat of a success, with the company reporting "about half" of the recalled devices have been exchanged. Samsung also revealed that 90% of customers exchanging their Note7 opted to receive a new Note7, instead of another Galaxy device. Samsung didn't reveal any other details about the program, or exchange numbers in the United Kingdom & Ireland program. Hopefully the recall continues to go smoothly, for both consumers' and Samsung's sake. 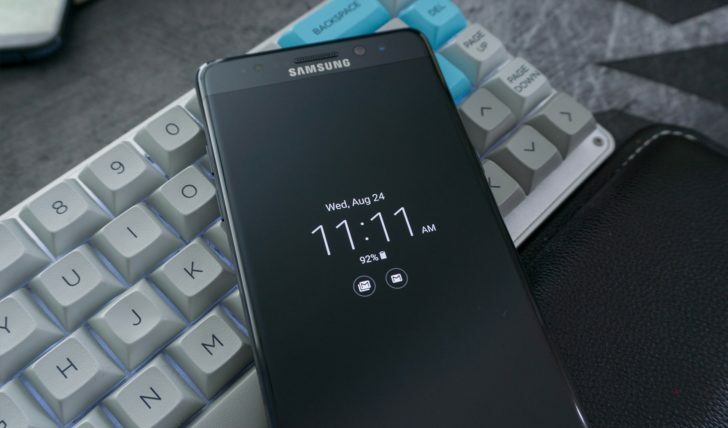 Samsung Electronics America, Inc. announced today that about half of all recalled Galaxy Note7 phones sold in the U.S. have been exchanged through Samsung’s voluntary recall. Additionally, 90 percent of Galaxy Note7 owners have been opting to receive the new Galaxy Note7 since the phones became widely available on Wednesday, September 21.